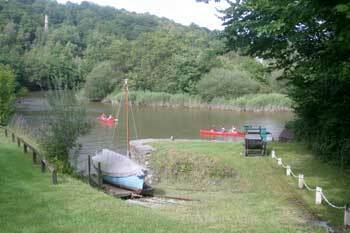 Cornwall offers many wonderful locations for kayaking and canoeing with hundreds of coastal locations suitable for exploring by kayak or canoe and equally exciting and scenic inland river locations. 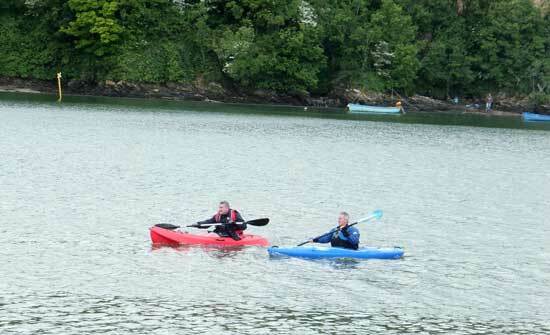 Whether you are experienced and have your own kayak/canoe or a beginner wishing to have lessons or take part in a course or other organised canoeing activities such as a kayaking holiday, Cornwall is a fantastic destination to explore with this quiet, unintrusive, environmentally friendly transport. Enjoy wonderful unique views of the coastline, beaches and cliffs. Experience the wildlife, birds, seals and other sealife. If you are an organiser of kayaking trips around the coast or you are kayaking yourself please be seal friendly and follow these simple steps published by the Cornwall Seal Group. 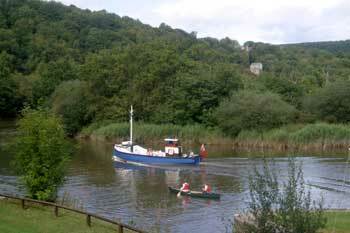 Cornwall has many large and small rivers which can be accessed by kayak - the Tamar River and its tributaries, the River Fal, Helford River, River Camel, Hayle River, River Gannel, Lerryn River, River Fowey, Bude Canal and many more. Explore creeks which cannot be accessed by larger, deeper hulled boats. Observe the wildlife. 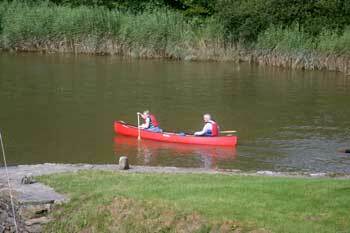 Ideal for bird watching as kayaking/canoeing is less likely to disturb the birds. 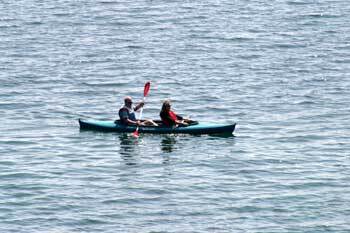 For experienced kayakers, even sea fishing from a kayak is possible. 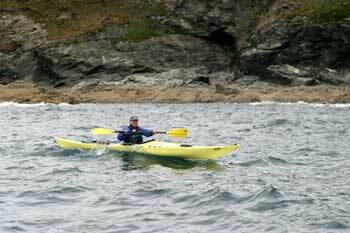 Sea kayaking is an ever growing sport, especially kayak fishing. On the 25th of July 2009, Adam Sedgwick and three of his fellow kayakers will be setting out from Cornwall taking kayaks 18 miles out to sea on a charter boat, to then launch and be the first kayak fishermen in Britain to fish for blue sharks and porbeagles from kayaks. Information about their trip will follow soon. 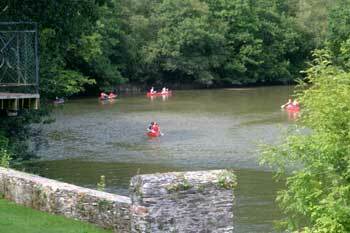 Canoeing and Kayaking Websites and more information.